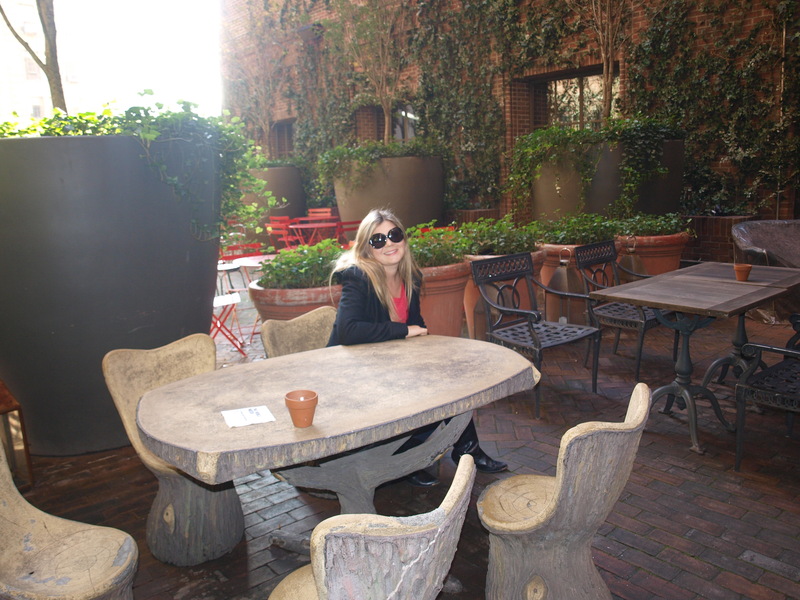 Hudson Hotel on the 356 West 58th Street, is a great location and is found at a walking distance from the Central Park and of course the 5th Avenue. 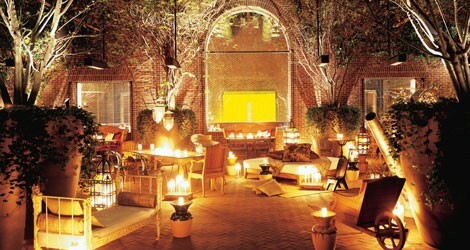 The hotel features a great bar, the Hudson Bar which is a perfect place for socializing, dancing and people watching. 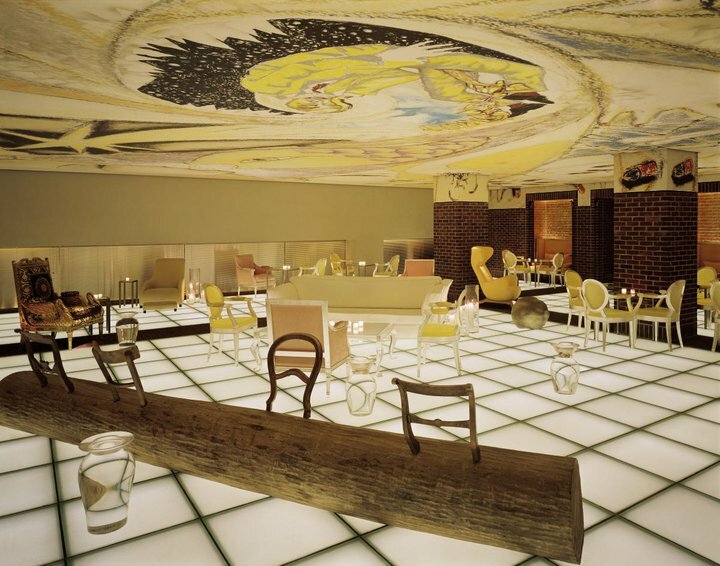 This is one of New York’s hotspots, featuring a glass lit dance floor and a hand painted ceiling by the world-renowned artist Francesco Clemente. 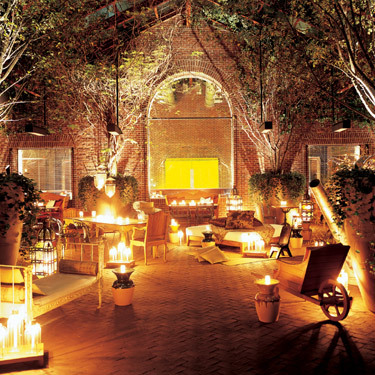 Morgans Hotel Group have a few interesting properties in buzzling destinations, and the Long Bar at the Sanderson’s Hotel in London is also a great place to have a cocktail or two. 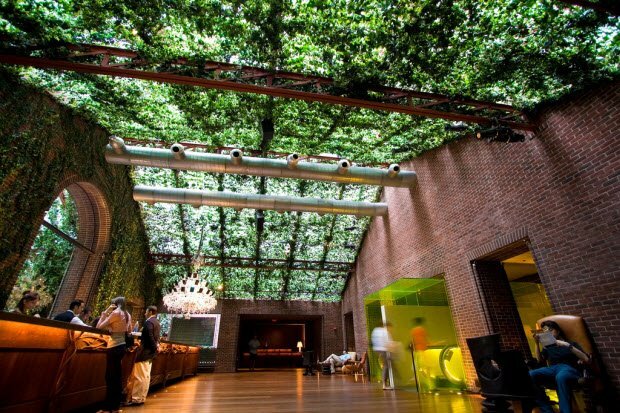 In the heart of the elevated lobby one can find themselves in the microcosm of the Central Park right there at the Hudson Hotel. The private park is decorated with assortment of antique and modern furniture where guests can relax from the bustling city below. 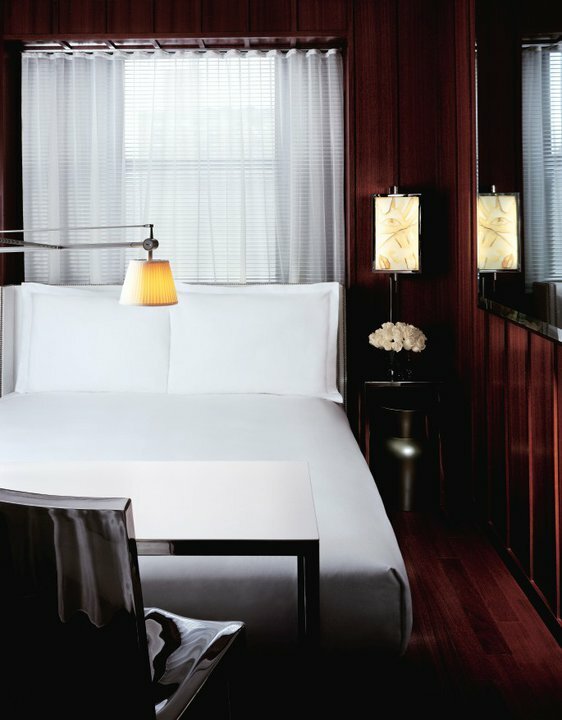 The guestrooms are not too spacious and this is something that is common in New York; however they are decorated in a way that you can feel the comfort even in a few square meters. Feeling thirsty and would like to enjoy a refreshment in your room, ice and snack facilities can be found on the floors of the hotel. Hudson brings the diversity of the City and represents the generation of the stylish, young at heart and totally cool. 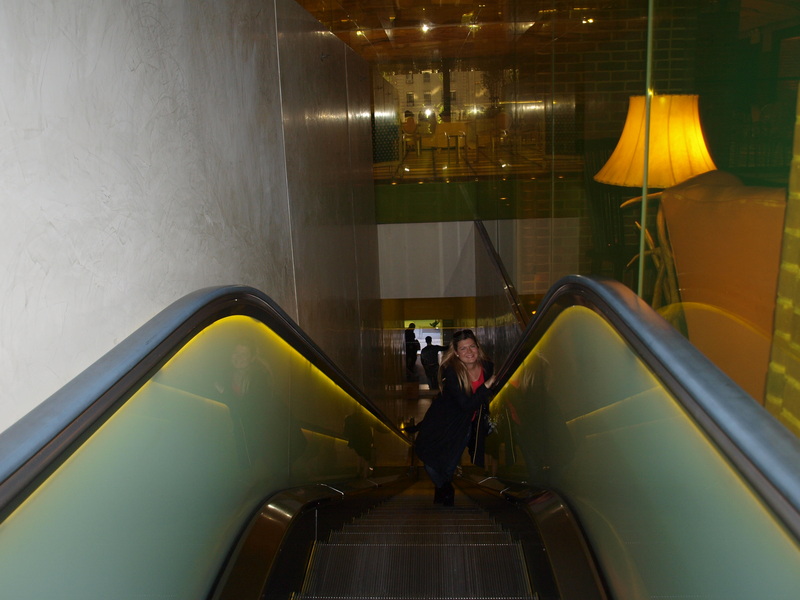 Let’s take the escalator and make our way through the luminous glass tunnel to the unforgettable lobby, where magical experience awaits for you in the heart of the City. This hotel looks very unique in every way. I would love to stay there.